﻿ Best Price on Mango Bay All Inclusive in Saint James + Reviews! 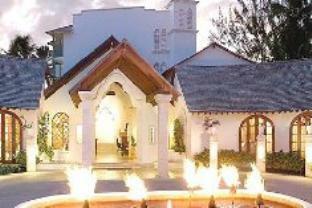 The all-inclusive Mango Bay Hotel is on the beachfront in Holetown, and features an outdoor pool, a mini-gym and a spa. Each air-conditioned room has a private balcony. The bright rooms at the Mango Bay Hotel have either one king bed or 2 single beds. All rooms include a TV, a teakettle and a safe. The private bathrooms have bathrobes. The Mango Bay’s restaurant is open throughout the day, serving local and international food. Prices include breakfast, lunch, dinner, afternoon tea and non-specialty drinks. Beach activities such as kayaking and snorkeling are included. The hotel also has a free Wi-Fi zone and a gift shop. Bridgetown is a 25-minute drive away, while Barbados International Airport is a 45-minute drive away. Mango Bay Hotel can arrange airport transportation for an extra fee. All-inclusive rates include breakfast, lunch, dinner, afternoon tea and drinks (excluding specialty wines, champagne and bottled water). We were there for 9 days and we have a fabolous stay. Food was diverse and nicely presented, we planned to go out to have dinner sometime and we did not because the food was excellent. The bar offerred a numerous drinks all of them tasty. The swimming pool and beach were a tiny small for all the residents.